QinetiQ North America (QNA) has announced that it has been awarded a US$90 million IDIQ contract to support the overall sustainment actions of the Tactical Adaptable Light Ordnance Neutralisation (TALON) family of robotic systems for the US Army. QNA will be providing ongoing maintenance, upgrades and servicing of the Army's existing, fielded fleet of TALON robots. The contract has an expiration date of Dec 16, 2023. Over 4,000 TALON robots are now deployed around the world by the US and its allies. 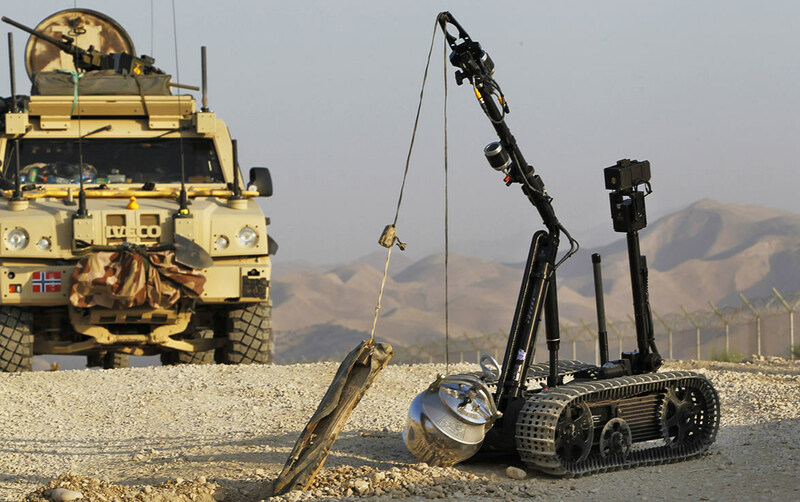 They are used primarily to assist military personnel with the extremely dangerous job of detecting and disabling roadside bombs or Improvised Explosive Devices (IEDs) planted by hostile forces to attack troops. TALON robots have been used in more than 80,000 counter-IED missions to date. "We are proud that TALON continues to be recognised as a robot that is vital to the military for EOD and counter-IED missions because of its combat proven ruggedness, ease of use, advanced flexible architecture and reliability," said Jeff Yorsz, president and CEO of QinetiQ North America. "Helping to keep Soldiers safe is what drives us and we continue to maintain and improve the TALON product line in support of that goal." Production of parts will be performed in Franklin, Massachusetts.